The SF Film Festival, one of the longest running in the Americas, is known for its adventurous programming. The 60th annual festival continues that tradition with a strong international lineup. Heaven Sent [Tombé du ciel (2016)], which had its World Premier at the Cannes Film Festival, is the first theatrical feature from Wissam Charaf. 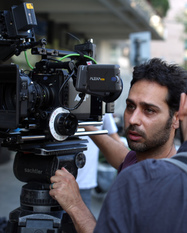 Based in Paris and Beirut, Charaf is a writer, director, composer and actor. He directed the documentary It’s All in Beirut (2011). Martin Rit is Heaven Sent‘s cinematographer with editing by William Laboury. We’re introduced to bearded Samir (Rodrigue Sleiman) during the opening credits as he struggles down a snow-covered mountain as a delicate acoustic guitar plays on the soundtrack. 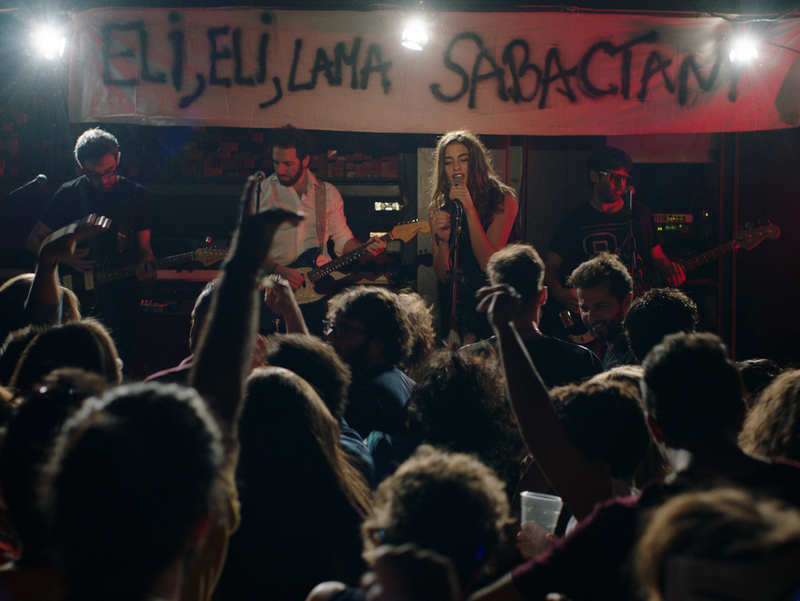 Cut to a European-style night club in present day Beirut. The former militia fighter reunites with his younger brother Omar (Raed Yassin). It’s an unfriendly family reunion as Omar head butts him to the ground. Omar presumably doesn’t recognize his estranged brother who he thought was dead. He and his fellow bouncers punch and kick Samir for trying to enter the club. The brothers eventually sort it out and begin living together. All is forgiven, it seems, but there’s an underlying tension that won’t go away. There’s also the physical contrast of the hirsute, slender Samir with the rotund, bald Omar. To advance in his career, Omar has to assemble a Glock pistol blindfolded. He fumbles it while Samir does it with ease. A job related injury while guarding the beautiful Yasmine (Yumna Marwan) doesn’t help his dexterity. Elder brother Samir has a quiet, poetic nature despite, or perhaps because, of his wartime experiences. The character driven film with its long takes of tough guy posturing is reminiscent of Finland’s Aki Kaurismäki, both stylistically and in its dry sense of the absurd. Charaff comments elliptically on war and terrorism in the Middle East. He uses humor and ridiculous situations to get his points across about the casual brutality of a country recovering from civil war. This entry was posted in Events, Movies and tagged Heaven Sent, Raed Yassin, Rodrigue Sleiman, Tombe du ciel, Wissam Charaf, Yumna Marwan by crimsonkay. Bookmark the permalink.